After having a short break to do some studying, afternoon tea events are back at Cafe Nouveau at Home. Visit the events page for the new dates. Hope to see you at one soon. And if you have any ideas for themes that you’d like to see just let me know. It’s the 4th July and a day that has been declared Independents’ Day – a national campaign to celebrate independent retailers. 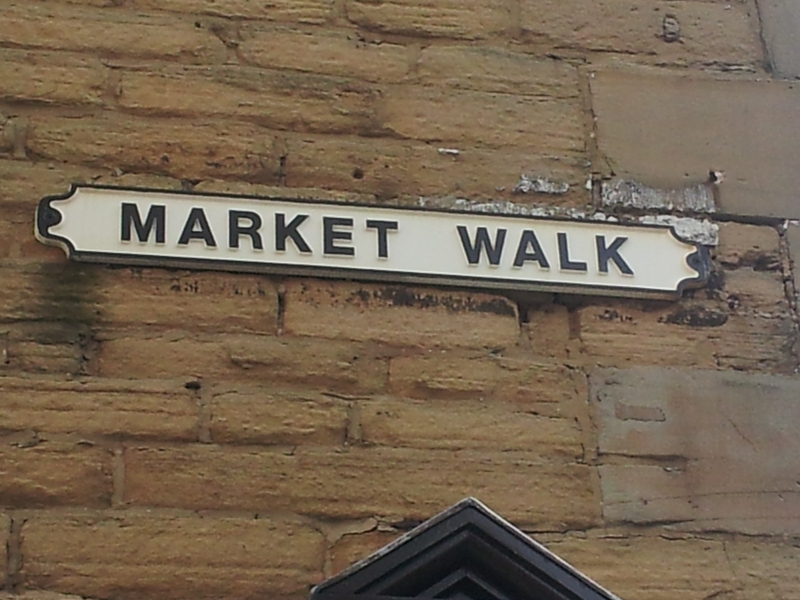 The street is Market Walk and it connects Market Place and King Street. 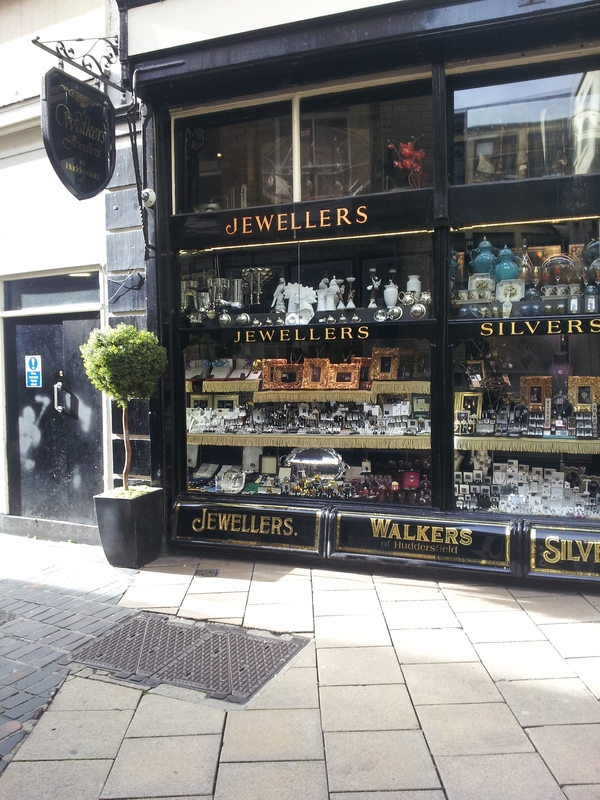 It’s a little back street that can be easily missed but it’s home to a jewellers, a florist, a shoe shop and clothes shop. 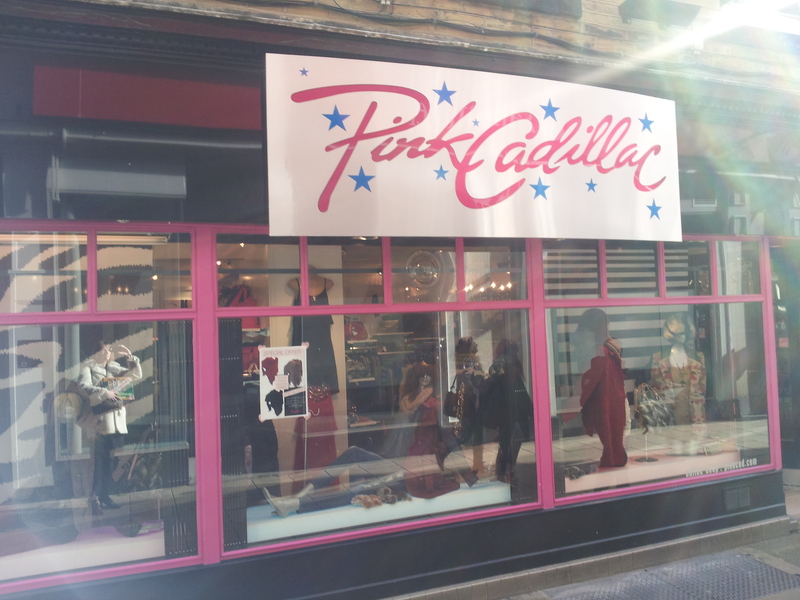 On that one little street you can get a complete outfit for a special night out. 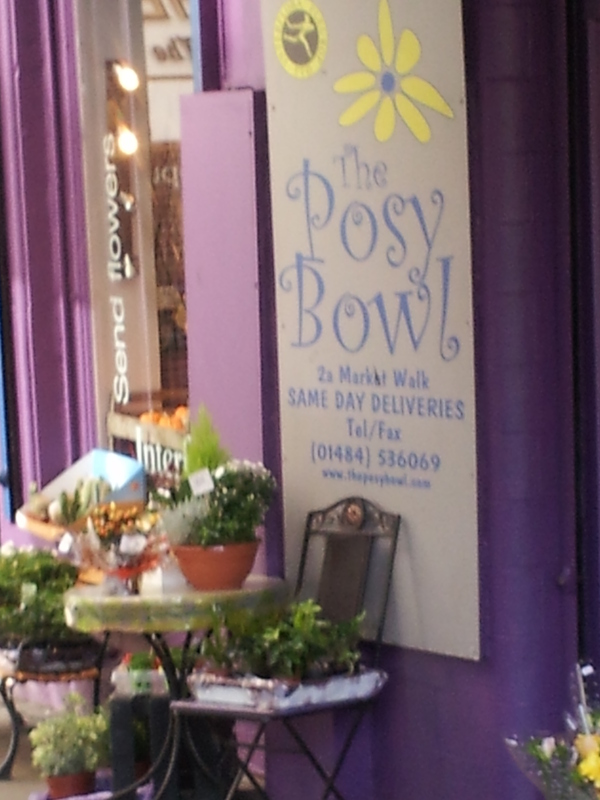 I always receive compliments on the things that I have bought from these shops. They are great places to find something unique. So these are my recommendations for Huddersfield. Which independents’ do you recommend? 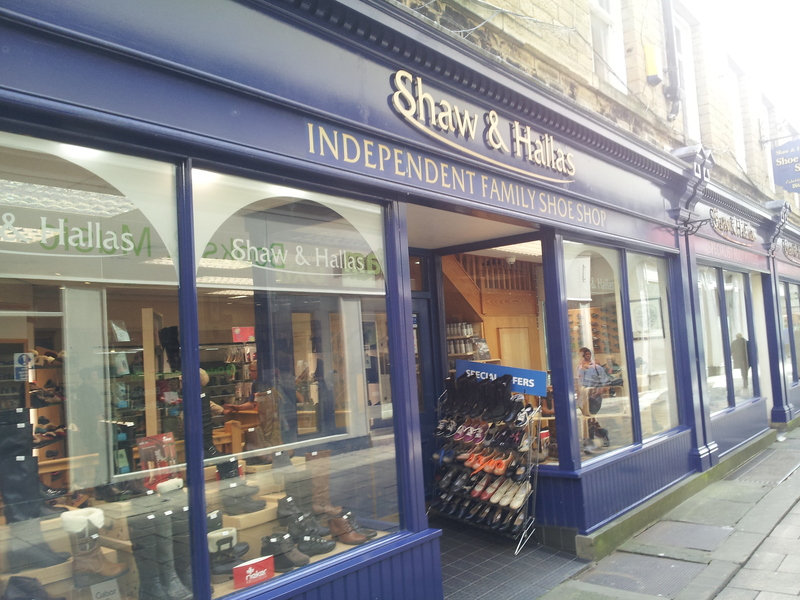 Posted in About me, Huddersfield, shopping and tagged clothes, florists, huddersfield, independents, jewellers, shoes, shops. Bookmark the permalink. 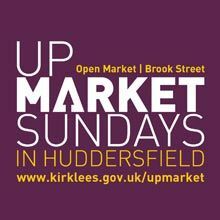 Today was the first Upmarket Sunday in Huddersfield, a new monthly market experience for Huddersfield with food, drink, craft and antique stalls. I popped down at lunchtime and despite the cold there were a good number of stalls including a few unexpected ones such as the fruit and veg stalls which was nice to see. A few stalls that were advertised to be there weren’t this month which was a shame but hopefully they will be there in April. I came away with some forced rhubarb and nectarines, a couple of cheeses (vintage gouder and gruyere) from Milk Street Fine Cheeses, a soured cherry and bourbon brownie from Brownies, a slice of apple crumble cake from Aunty P’s and a pork pie from Little Yorkshire Pie Co. And I met up with some fellow foodies! If I’d not been planning on cooking lunch I’d have definitely got a pulled pork slider from El Kantina and glass of hot mulled apple juice from Simple Sencillo – I guess I’ll have to wait until next month! I hope that there were enough visitors to make it worth while for the stall holders. Reading tweets from people that went and from the stall holders themselves there seems to be lots of postive feedback so fingers crossed it inspires more visitors. Looking forward to the next Upmarket on Sunday 14 April. Posted in Drink, Food, Huddersfield, shopping and tagged food, huddersfield, markets, shopping, Upmarket. Bookmark the permalink. It may be tax return day but it’s also my birthday! So I thought I’d celebrate by offering a gift to inspire you to bake something new. 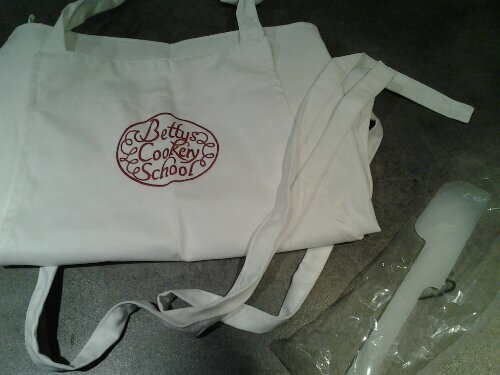 If you’d like to win this brand new Betty’s cookery school apron and a spatula just leave a comment about what is your favourite thing to bake before 9pm GMT on Sunday 3 February and I’ll pick a winner. Enjoy your baking – I’m off to make my birthday cake! Posted in Food and tagged birthday, cake, present. Bookmark the permalink. I’ve been musing over the last few days which item of food I couldn’t live without and I’ve managed to get it down to two options. My first food love is eggs. We always have eggs in the house and if I ever start to run out, I begin to panic slightly. 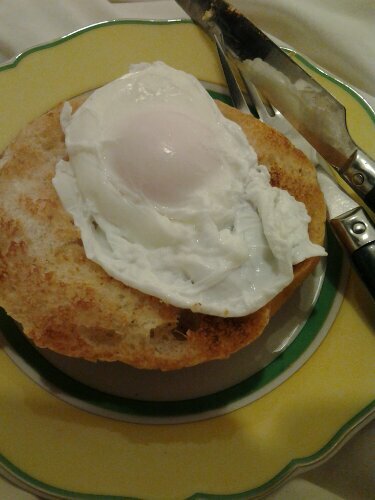 I use a lot for my baking but I love to eat them – poached, fried, scrambled, soft boiled, omelettes. I’m not a big fan of them hard boiled but will still quite happily eat an egg salad sandwich! If I ever need comfort food, I have poached eggs on toast and if I’m too tired to cook dinner but want something tasty then I’ll make an omelette. My second love is cheese. As a fussy eater as a child, cheese was one of the few foods that I enjoyed. And I had Edam cheese sandwiches every day for lunch for about 10 years at school. I do now eat a variety of foods but cheese is still my favourite for snacking. I prefer hard cheeses, especially the mature, vintage types but I like a lot of the softer French cheeses too. And as with eggs, we always have cheese in the fridge. 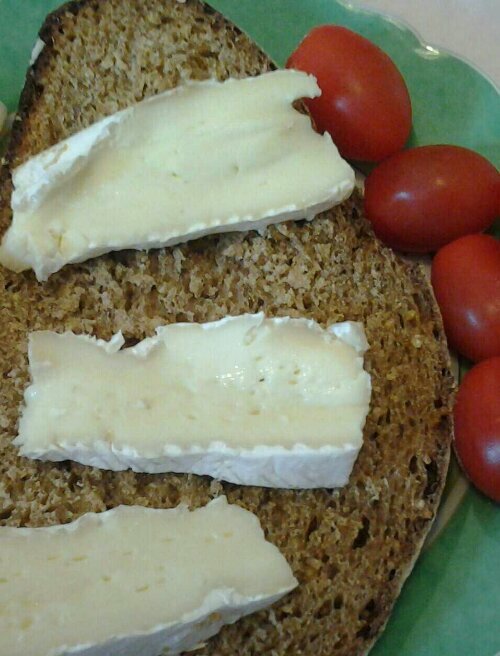 I even did a cheese themed afternoon tea during British Cheese Week. I’m not sure whether I’d want to or could live without either eggs or cheese so hopefully no-one will ever make me choose! So what’s the food that you couldn’t live wthout? Posted in Food and tagged cheese, eggs, food. Bookmark the permalink. 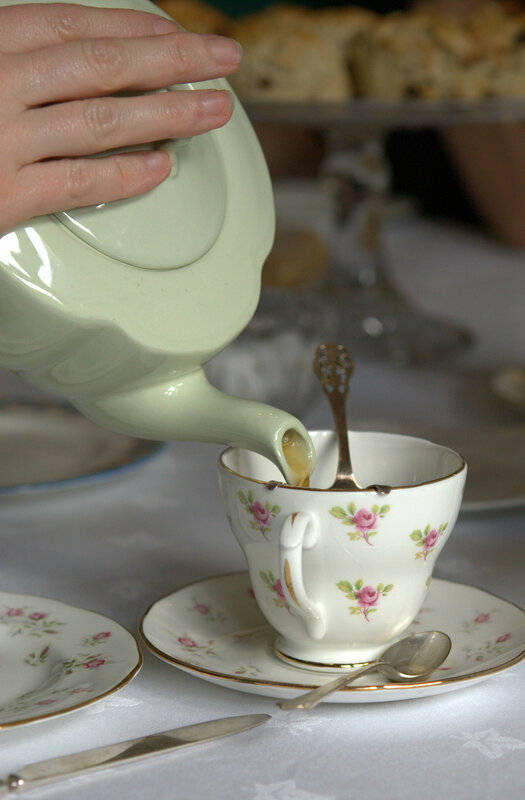 Thanks for all the interest – we’re now fully booked for Saturday’s impromptu afternoon tea event. Let’s hope the snow doesn’t spoil it! Happy New Year! We are starting the year with an impromptu afternoon tea this Saturday at 1pm. I was asked by a small group of people if I was doing an afternoon tea event this weekend and I said “why not!”. There are 5 places 3 places available so if you’d like to spend a couple of hours eating, drinking and chatting with afternoon tea fans then send me an email (nouveau-cakes@hotmail.com.) and I’ll book you a place. The menu will include three types of sandwiches, a savoury tart, scones with jam and clotted cream, a birthday cake (to celebrate my birthday and the 2nd birthday of Cafe Nouveau) and a small patisserie as well as a choice of tea and coffee. For January only I have reverted to 2010’s price of £12 per person. Dates for the rest of the year will be announced soon so if you can’t make January’s event then hopefully I’ll see you during the year.